Pre-register before 6/8/14: $15.00 half-marathon, $12.00 5K. Family discount: no charge in excess of that for 3 people if pre-registered. Shirts may sold separately, inquire at the race. Please enter me in the indicated Mt. 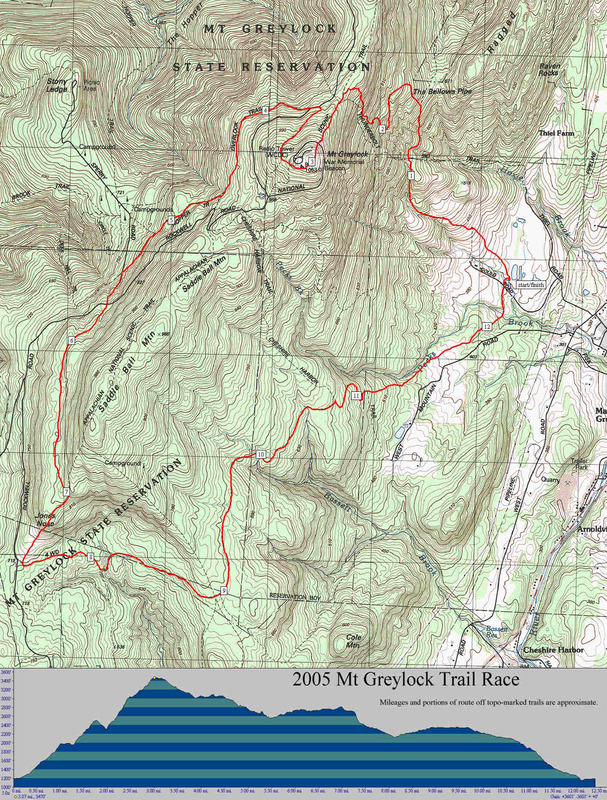 Greylock Trail Race. I agree to assume all responsibility for any and all risk of damage or injury that may occur to me as a participant of this event. In consideration of being accepted as an entrant in this event, I hereby, for myself, my heirs, executors and administrators, release and discharge any and all sponsors of the Mt. Greylock Trail Race from all claims, damages, rights of action, present or future whether the arising of, or incident to my participation in this event. I hereby certify that I am physically fit and have successfully trained for competition in this event. I also grant permission for the use of my name and/or picture in any broadcast, photograph or other account of this event.